Police have determined the weapon used in the shooting was a BB gun shot from a nearby park. Twitch streamer Guy “Dr DisRespect” Beahm’s home has reportedly been the target of multiple gunshots over the past two days, according to the streamer. Dr DisRespect said on stream immediately after the event that his home was shot at twice in the past two days, the latter of which was captured on stream. A local news site posted photos of the home online, which show a broken glass barrier. Police determined the weapon used to shoot at his house was a BB gun, according to the San Diego Tribune. Authorities have not confirmed whether Dr DisRespect was specifically targeted in the shooting. 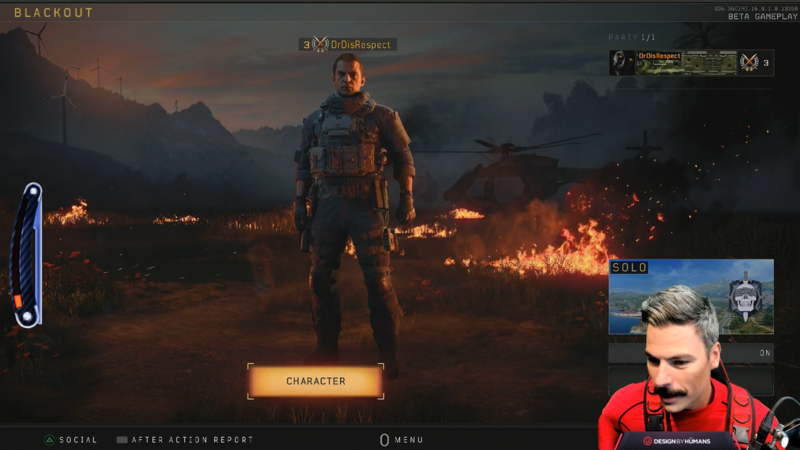 Dr DisRespect was streaming Call of Duty: Black Ops 4’s Blackout mode when a loud noise—what sounds like gunshots—was heard. Dr DisRespect left the stream’s view and returned a little while later to inform viewers he was signing off. At the time, he said it was a drive-by shooting and the second time over the past two days a similar incident had happened. No one was hurt in the incident, and a note on stream said that neither Dr DisRespect nor his family—his wife and daughter—were injured. “Proper measures are being taken while the stream is down for the day,” it said. The popular Twitch streamer was reportedly swatted in March. Swatting is when a fake report is called in as a way to lead police to an unsuspecting victim’s home. Victims are often livestreaming when a swat call is made, and viewers watch as police barge into an unsuspecting person’s home. In December 2017, a swatting call connected to several Call of Duty players led to another man being shot and killed by police.